Vertie Loftin Cox, 88, went home to Jesus on Thursday, November 8, 2018. She was born in Mecklenburg County, daughter of Clarence Leroy Loftin and Isabella Carnes Loftin. She was mom to a large loving family. She is preceded in death by her husband of 65 years, Charlie Thomas Cox. 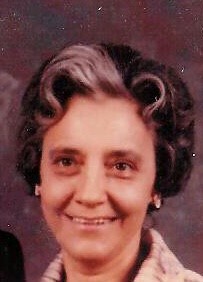 She is survived by five sons, Thomas Cox of Gastonia, Edward Cox and wife Sandy of Mount Holly, Charlie Cox, Jr. of Mount Holly, John Cox and wife Ellen of Kennesaw, Ga., Daniel Cox and wife Lisa of Denver, NC; a daughter Grace Earney and husband Ronnie of Iron Station; eleven grandchildren and twenty-one great-grandchildren. A service to celebrate her life officiated by Reverend Randy Arrowood and Stuart Noell will be held 2:00 p.m. Sunday, November 11, 2018 in the Woodlawn Chapel of Woodlawn Funeral Home, Mount Holly. The family will greet guests for one hour prior to the service at the funeral home. Interment will follow the service at the Cox Family Cemetery in Lucia. Memorials may be made to St. Jude Children's Research Hospital or Levine Cancer Institute.